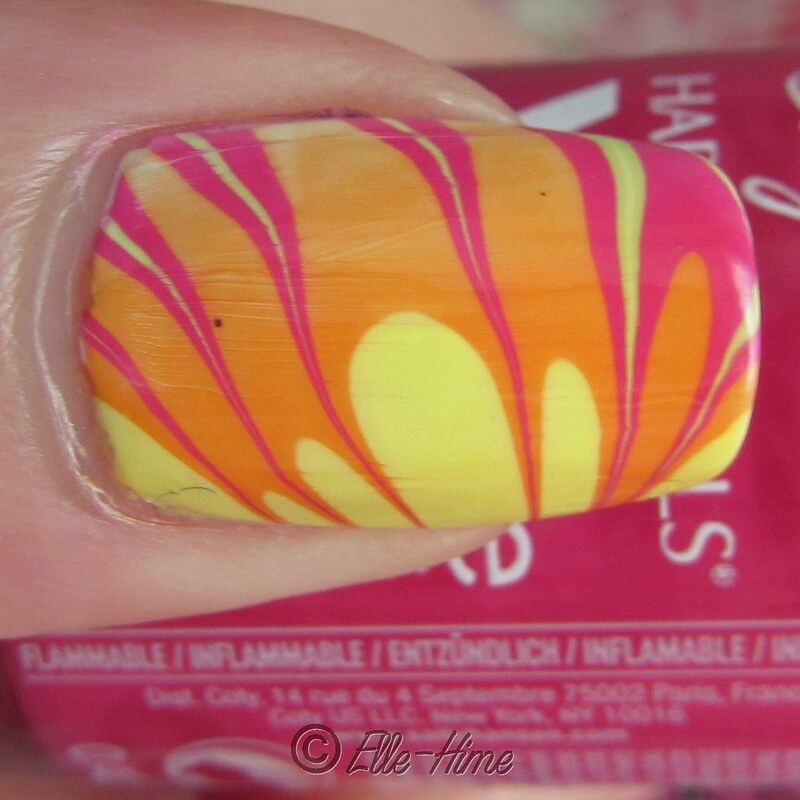 It dawned on me as I prepared this post that this will be the first water marble I've shared on my blog. Actually, it's only the second one I've ever done. So, I'm very proud of this post! This post also marks the first time I've used the "orange" color tag on my blog. Orange isn't something that I'm usually drawn to, but when I saw these four colors next to each other I knew that I would have to do a marble with them some day. They are just so happy and bright! 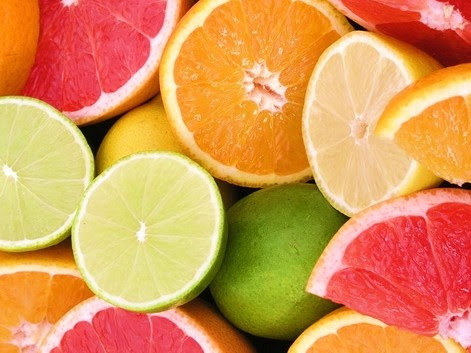 These swirls bring to mind limes, lemons, oranges and (my favorite) pink grapefruit! Or blood oranges; those have a wonderful color too. I started with a white creme base to make the colors pop, and my water marble colors were all from the Sally Hansen Xtreme Wear line, because as of yet they are the only ones that I have been able to get consistent results marbling with. (Hey, I said this is only the second marble I've done, not my second attempt! Lots of trial and error!) The colors are Fuchsia Power, Sun Kissed, Mellow Yellow, and Green With Envy. Fun fact: this is the first pic I snapped of these nails, and it is the 2,012th picture I've taken with my camera! Have you tried water marbling yet? If so, what polishes work for you? If you haven't gotten it to work yet, don't give up! 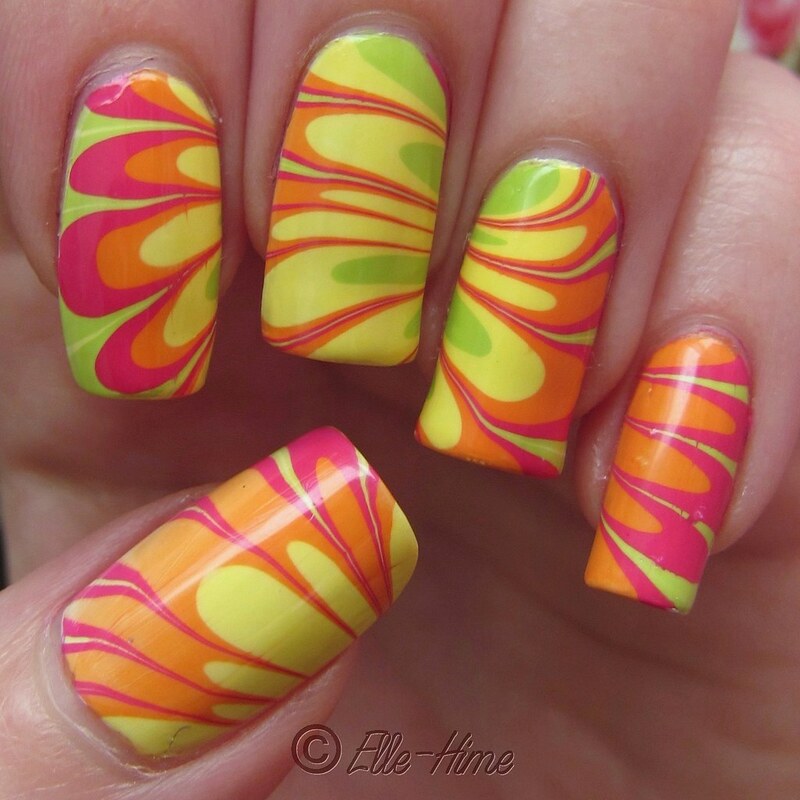 What an awesome water marble!